It looks like Arthur Curry may be the new king of the DC universe. Aquaman 2 is already being discussed at Warner Bros. ahead of the first movie’s debut in theaters later this month. This is not only great news for the cast and director James Wan, but it’s a very good sign for DC fans, who are hoping that Aquaman can be the savior that this cinematic universe needs. It’s also good for fans of Jason Momoa, as we’re probably going to be seeing much more of him as Arthur Curry in the future. According to a new report, Warner Bros. Pictures head Toby Emmerich is already having early discussions for Aquaman 2. With the first movie set to debut with $65 million or more on its opening weekend, and with the first wave of reactions from critics praising the comic book adaptation, Emmerich feels that it’s not premature to discuss a sequel. But it’s noted that these are early discussions and that nothing has been set in stone yet. They don’t even have a writer signed on to develop the screenplay. Looking at the box office prospects, $65 million may not sound like a ton when it comes to a major superhero movie, but there are several factors to consider. For one, after Justice League failed to capture the attention of the masses, many may have trepidations about shelling out for another DC movie. More importantly, Aquaman is going up against both Bumblebee and Mary Poppins Returns in its first frame, making for a very crowded weekend. It’s expected that Aquaman will top both of those movies, which is perhaps the biggest indicator that a sequel would be warranted. This came as part of a larger profile on Amber Heard who stars as Mera in Aquaman, after having made a brief appearance in Justice League. The report does note that she would see a big pay increase for the sequel. The actress was paid a “low-seven-figure” salary for her work on the first movie. It stands to reason that Jason Momoa would also get a pretty big raise as the franchise’s star. Assuming James Wan could be convinced to return to helm the sequel, he would also surely be getting a nice pay bump as well. But that could be a big if, as Wan is highly in-demand and doing Aquaman 2 would take up a lot of his time. Warner Bros. has been shifting strategy with DC Films behind the scenes and they’re not longer going to announce a large slate of movies at once. It’s more or less one thing at a time, but sequels clearly aren’t off the table. Though, it is interesting that Aquaman, of all characters, will get a sequel before Man of Steel 2 gets off the ground. But that’s the world we live in. 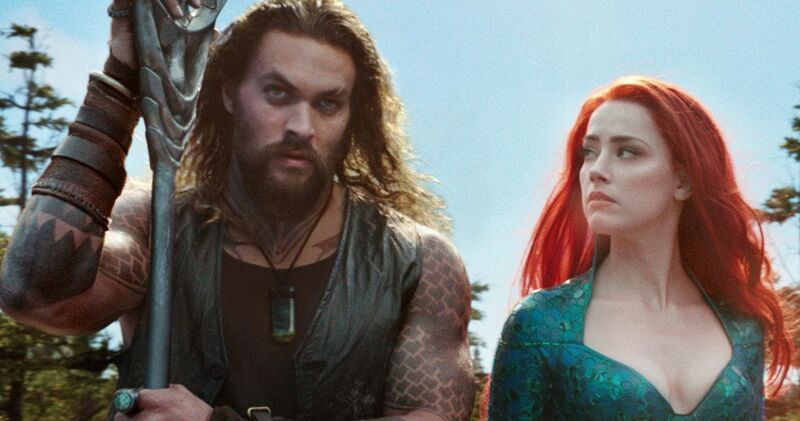 We’ll be sure to keep you posted as any further details on Aquaman 2 come to the surface. Aquaman is set to hit theaters on December 21. This news was first reported by The Hollywood Reporter.